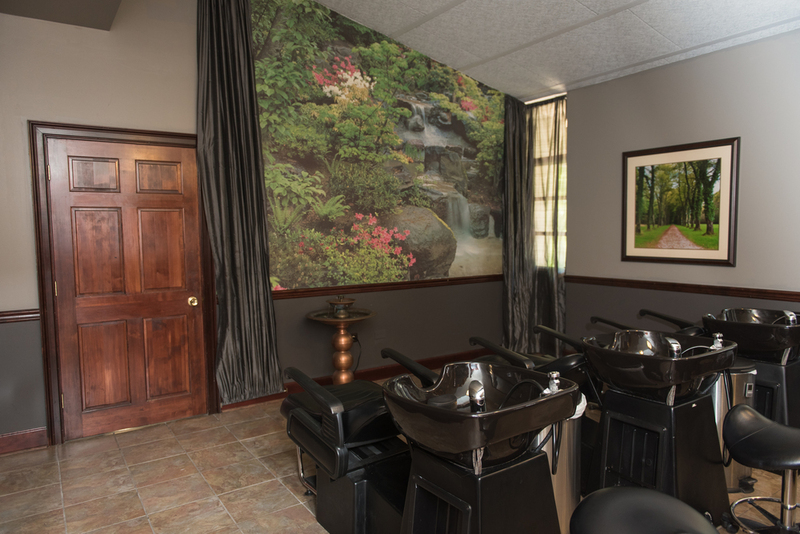 Alchemy is a beautiful salon nestled in the old Boy Scout building off of Papermill Drive. They were founded in June 2010 and opened their doors in October 2010. They believe in restoring and maintaining the integrity of your hair, skin and body. They specialize in the French technique and balayage, which means " to sweep". It results in beautiful, natural highlights that grow out seamlessly. They are a full-service salon, featuring cutting and color services, waxing, nail care, skin care and massage. At Alchemy, they believe in growing from the inside out. They are a teaching salon and offer extensive apprenticeships to each team member, so that they all continue to strengthen their skills and master their craft. They strive to do whatever it takes to make you not only look better when you leave, but feel better. They are proud to offer Davines at our salon. They utilize the best pigments and products to create, enhance and protect our creations and designs. The company's natural approach to sustainable beauty and environmental awareness is unparalleled, and Alchemy is proud to support Davines. Proceeds from product sales go towards their educational program. From Alchemy to you, they say, "thank you for supporting local." Courtney (co-owner of Alchemy Salon) has always had an artistic side, with an eye for design and transformation, but she was also an athlete when she was younger. Playing sports through her 1st year of Maryville College taught her discipline, hard work and the value of a team. Going on to coach 4 seasons at CAK, these skills grew stronger as she realized her love for teaching others. She decided to finish her degree in Business at the University of Tennessee . As she approached graduation, however, she felt the strong desire to find a career that would allow her artistic side to come to the forefront, while utilizing her degree and the skills she had developed through athletics and coaching. She enrolled at the Tennessee school of Beauty, which is where she met Teresa (co-owner). They connected quickly and both felt they would meet again at some point in the future. After graduating from cosmetology school, Courtney was drawn to Chattanooga, TN. She did an extensive apprenticeship there, which taught her accuracy, time management, discipline, and also unlocked her creativity as a stylist. She traveled to New York for advanced education and continued to develop her individual skills. She enjoyed both cutting and coloring, and her love for hand-painted highlights developed quickly. After 4 ½ years, however, she knew it was time to move on. As much as she loved Chattanooga, she felt drawn back to Knoxville. She and Teresa had kept in touch over the years, but it was at this time that they really reconnected and felt it was time to create a space where they could grow and that others would be able to grow as well. A place where all of their combined strengths and unique skills would flourish and fulfill a larger purpose. This is where Alchemy began. Teresa (co-owner of Alchemy Salon) has always had a heart for taking care of others. She went into nursing at a young age and excelled quickly. She worked incredibly hard to take care of her growing family and worked her way into upper management at a fast pace. She loved art and pottery, and would often dream of transforming ladies’ hair in the boardrooms. After 25 years in critical care nursing, she made the brave and bold move to make her passion a reality. She knew it would take incredible strength and tenacity and that it would require extremely long hours while transitioning. She made the decision to enroll at the Tennessee School of Beauty. For the next year, she went to cosmetology school Tuesday through Saturday from 9-4:30 and then worked three 12 hour shifts at the hospital on the weekend to pay for school. She met Courtney there and they had an immediate connection. There was something that told her they would see each other again down the road. After graduation, she went on to further her education at a salon in Knoxville and rapidly developed a following. Often called the "hair nurse" she quickly established herself as a force in the industry. She sought education every chance she had. Her natural ability for cutting and dimensional color and her skills in caretaking made her a natural as a stylist. 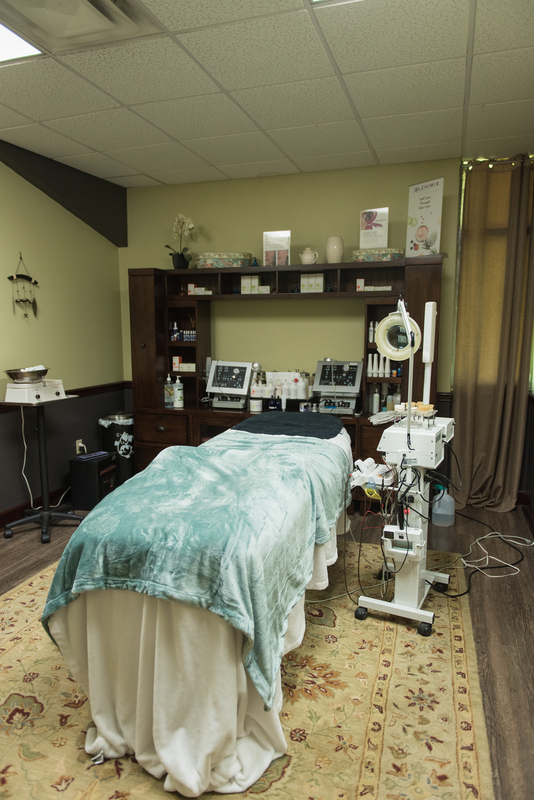 After 4 ½ years, she felt it was the right time to team up with Courtney and create a new type of salon, “A place that encouraged and supported women.” A place where people could come to be cared for and leave feeling uplifted.